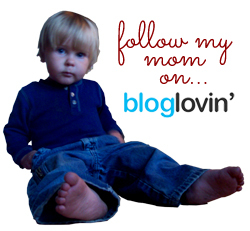 I have a super fun product to talk to you guys about today: Clued In Kids! For review purposes, I received both the Halloween Treasure Hunt and the Baseball Treasure Hunt. These are available as PDF downloads for $5.99 each. Having them as PDFs means, of course, that you can print as many as you’d like and reuse them, which makes these a great value. So what is Clued In Kids? The answer is very simple. Helen Bertelli, the founder and president of Clued In Kids, writes Treasure Hunts for kids. You purchase the hunts, hide the clues, and let your kids go. For about 5-10 minutes worth of work on your part, you can easily keep your kids occupied for 30-60 minutes (possibly more, depending on the children). Each hunt is designed around a theme – Halloween and Baseball, in my case, but there are also loads of others (Thanksgiving, Winter, Happy Tummy, Gluten-Free, Homework Reward, and many others). Once you receive the PDF download, you just print out the hunt (mine were 8 pages apiece – 6 pages each with 2 clues to be cut apart, a title page, and an answer key) and hide the clues. Each clue tells you (the “hunt leader”) where to hide it, so it really is a no-brainer. Everything is planned out for you. When it’s time for the hunt, after you’ve hidden the clues, simply give the first clue to the children and let them go. It really is that simple. Besides the ease of use, another huge selling feature is that these hunts appeal to a wide age range of children. Both of the ones I got said “for ages 4 and up.” You could really only use them at that young an age with help, though. Some of the clues would be absolutely unsolvable for a child that young. 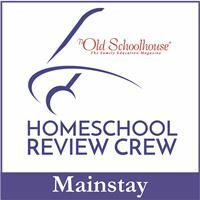 I think they’d be best used by younger children with older friends or siblings or for ages 6 and up – good problem solvers and readers. If you have younger children and teens, this would be a great way to get everyone working together. Have the teens do the hiding and be the “hunt leader,” while the younger children do the solving. I knew that the dates on this review would line up nicely with the boys’ birthdays, so I’d planned from the beginning to use the Baseball Treasure Hunt for their “friend” party and the Halloween Treasure Hunt at Seahawk’s “extended family birthday dinner,” and that’s exactly what we did. I set up the hunts, doing my best to find a time to do that while the kids were either not home or distracted. I was successful at that. For the Baseball Hunt, I gave the kids the first clue once everyone had arrived, and they (I think we had 11 kids here) moved quickly through the clues. The treasure at the end of the hunt (which is not included in the purchase price) was birthday cupcakes. On Seahawk’s dinner night, I’d been hoping that some of the cousins would be here to participate in the hunt with the boys, but due to several extenuating circumstances, none of them could come. But that was complete fine; my two boys did it together and I thought it was a good relationship building exercise for them. For this one, because things didn’t work out quite as well as I’d hoped as far as participants, I didn’t end up having a treasure for the boys. I suppose you could say that their treasure was getting to stay up past their bedtime to do the hunt since they started it right at bedtime, as people were leaving ;). I learned a couple of things after having done the first hunt that I remedied for the second one. 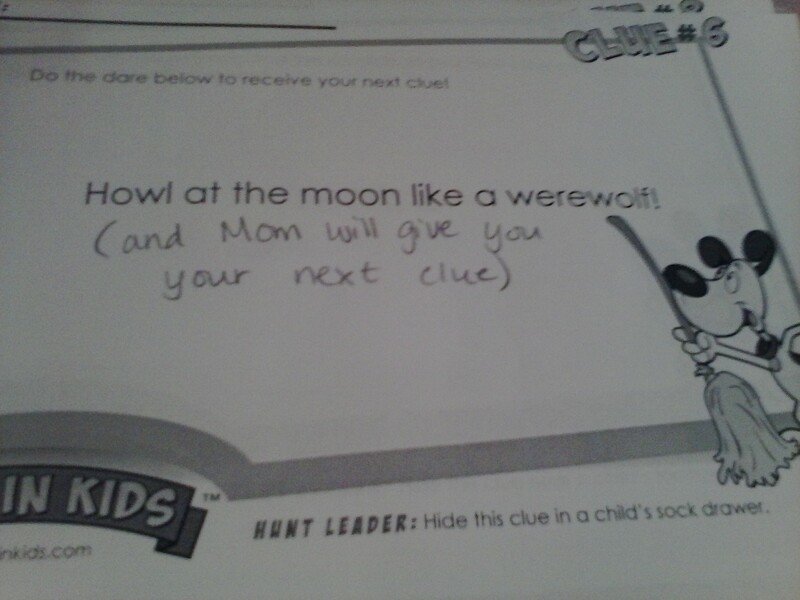 First of all, you can see in the image above that I added in the addendum “and Mom will give you your next clue” to the challenge portion. At the big party, there were some clues that the kids didn’t understand they needed to come to me to complete in order to get the next clue, so I made that clearer for the next time. Also, it was important to be really clear about where you hid the clues – hide them in plain sight, basically. During the big party, the kids got one or two of the clues wrong, and found a clue out of order as a result. This wasn’t disastrous, just something to be aware of. Don’t hide them too good. The funniest moment of the hunt at the big party was when the kids were solving a pictogram. There was a key at the bottom of the page and lines with small pictures representing letters. The answer was “coat closet,” and the child doing the solving that time (he’s 12) had gotten C-O-A-T C-L-O-S and all the other kids were yelling, “Coat closet! Coat closet!” and this boy – who you have to know is very serious and studious – was telling them, “Don’t jump to conclusions. Let’s make sure.” It was hilarious.